A ferry in Penobscot Bay carrying vehicles and passengers from Islesboro to Lincolnville is shown in this June 17, 2016, file photo. A judge has denied part of a lawsuit filed by Islesboro residents regarding ferry service rate changes made by the Maine Department of Transportation earlier this year that increased ticket costs for residents. But the plaintiffs have framed the ruling as a victory because the court found they showed a likelihood of success on the merits of their argument that the DOT, which operates the Maine State Ferry Service, did not go through the proper rulemaking process to make the rate changes. The ruling on the motion to stop the rate increase pending appeal came out last week, and while the judge did not order the DOT to go back through a rulemaking process for the rate changes, state transportation officials plan to do so. Further court proceedings on the lawsuit are on hold until the rulemaking process is complete, or until Jan. 1, 2019, whichever comes first, according to court documents. “While waiting for the court to decide whether rulemaking is required, in order to avoid any disruption in the revenue the ferry service needs to operate, and because Maine DOT welcomes public input and participation, Maine DOT decided to proceed with rulemaking,” Maine DOT spokesman Ted Talbot said in an email. As part of the rulemaking process, DOT has scheduled a public hearing on Nov. 28 in Belfast. At this hearing, comments will be accepted on the proposed Rule 602, which includes the new toll, or ticket, rate structure that the ferry service implemented in May. As the rulemaking process progresses, ticket rates will not change, Talbot said. But it is possible that a different rate structure than the one put in place in May would be established as a result of the new review. “The Department of Transportation will consider and respond to the public comments it receives before any final rule goes into effect,” he said in an email. Mary Costigan, who represents the town of Islesboro in the lawsuit, said residents are happy to finally have a chance to comment on the rate change. Costigan said they were not able to comment on the rate change prior to it going into effect in May because multiple plans were floated before the DOT ultimately settled on implementing a flat rate structure. The flat rate system caused the cost of a ferry trip to Islesboro to more than double. “The hope is that [residents] finally get the chance to comment on [the rate changes] and provide information to the DOT,” Costigan said. “They hope the DOT is doing this with an open mind. … We’re hopeful that it’s not just a check-the-box” measure. 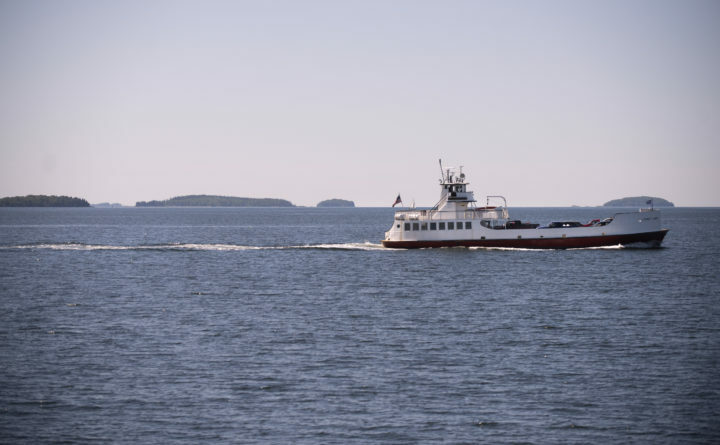 The Maine State Ferry Service runs ferries between the mainland and the islands of North Haven, Vinalhaven, Islesboro, Matinicus, Swan’s Island and Frenchboro. Prior to the new ticket rate structure, each island had its own rate and tickets purchased on islands were discounted, with the goals of saving residents money. Under the new rate structure, a flat rate applies across the system: $11 for a round-trip ticket or $30 for anyone with a car. While rate changes have met little resistance on other islands, where ticket rates went down or stayed relatively steady under the flat rate, Islesboro residents have been infuriated by the change, which they say puts a burden on islanders who must commute to the mainland for work — as many residents do — or for other essential needs such as medical appointments. It had been nine years since the ferry service increased its rates. State transportation officials said the increase was needed to avoid a projected operating budget shortfall in 2020. At the Nov. 28 hearing, transportation officials also will take comments on a process that would allow the ferry service to implement a temporary surcharge on tickets “if the costs of the [ferry service] increase or ridership decreases causing a shortfall in operating funds,” according to the hearing notice. The public hearing will be held at noon on Nov. 28 at the University of Maine Hutchinson Center on Belmont Avenue in Belfast. People may also submit written comments to the DOT through Dec. 12. Following the hearing and public comment period, the DOT will consider the comments and other information available before making a formal decision on adopting the rule. Adoption of the rule would have to take place within 120 days from the end of the public comment period, according to the state’s rulemaking process.